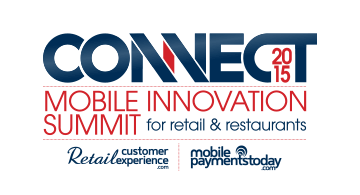 The CONNECT Mobile Innovation Summit explores the many opportunities that retail and restaurant enterprises have for leveraging mobile and digital channels to build their brands, increase sales and improve customer engagement, experience and loyalty. The intimate environment of the summit and networking events provides the opportunity to interact and share ideas with other retail and restaurant industry professionals facing many of the same challenges. CONNECT has been created for retail and restaurant executives with responsibility for, or contribution to, the mobile experience for their company, including: mobile strategy & solutions, m-commerce / e-commerce, marketing / branding, customer experience, customer service, CRM, social media, loyalty programs, technology / systems, app development, digital merchandising, payments, point-of-sale, point-of-purchase, store operation and much more.Register to attend the 2016 CONNECT Mobile Innovation Summit taking place in Chicago August 15 - 17.